Doll's Musings: Celtic Scissor Fob Finished! So it is done. 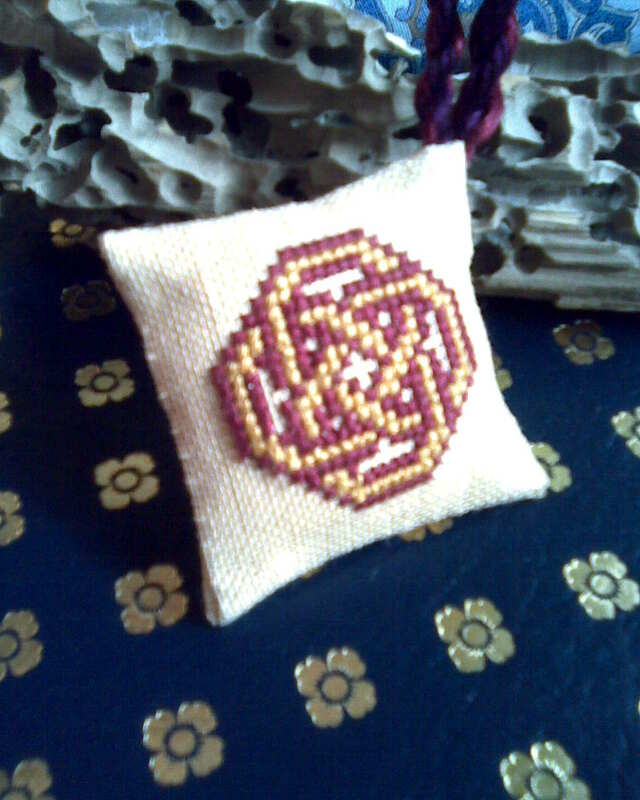 My first fob ever. Loads of learning experiences this year (and last year). I unfortunately made the twisted cord FAR to thick. 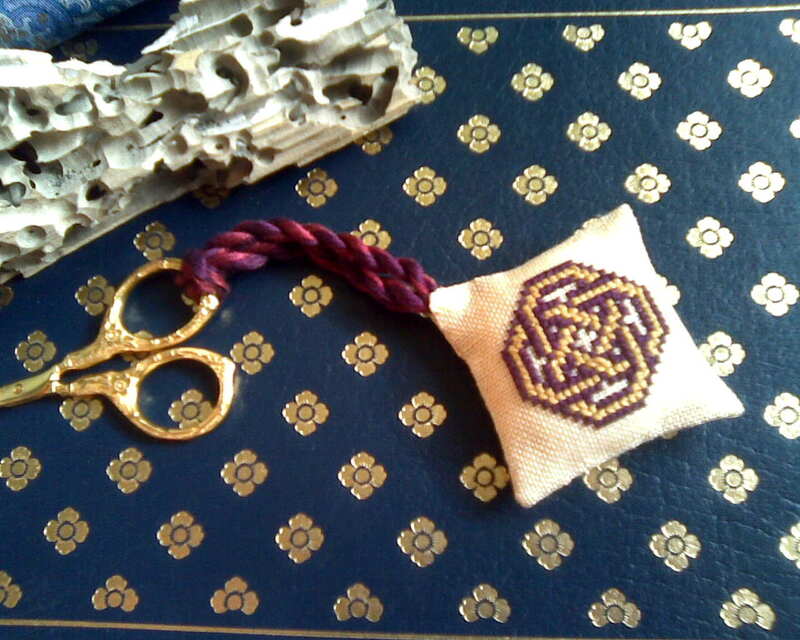 It was very difficult to stitch it into my tiny Celtic fob. For the next time, I will use less thread and fill the corners of the fob with stuffing. It looks awesome! The cord may be thick but it looks fabulous!!! What tutorial did you use for the cord? The color of the cord is lovely.